We love to share Hawaii pictures that captivate our imagination and take us to new places–this photo does just that. 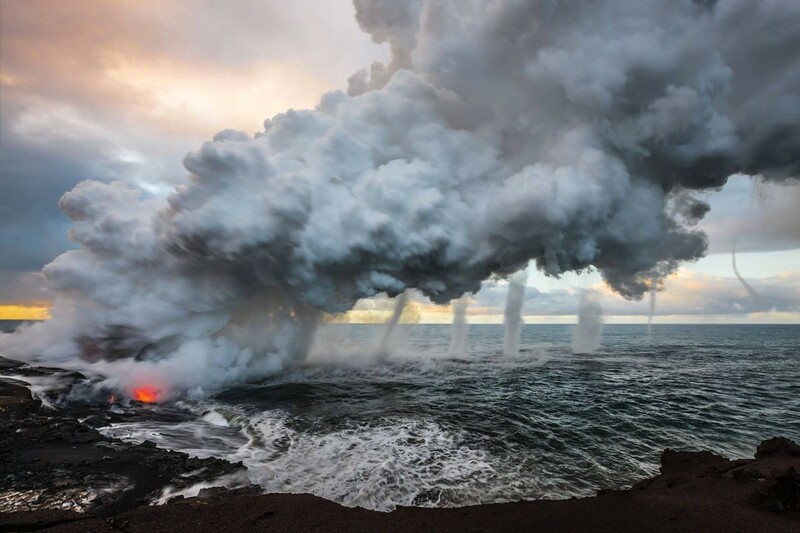 This shot will be on display at the Smithsonian through 2014, showing Hawaii’s power and beauty to people worldwide. “This photo just won the Power of Nature category in the upcoming Nature’s Best Photography, Windland Smith Rice International Awards Exhibition 2013. The exhibition will open June 7 at the Smithsonian’s National Museum of Natural History and will run through 2014. Equipment: Canon EOS-1Ds Mark III; 16-35mm ƒ/2.8 EF lens at 16mm; 1/5 sec at ƒ/18; ISO 50; TC-80N3 intervalometer; Really Right Stuff TVC-33 tripod; RRS BH-55 ball head.